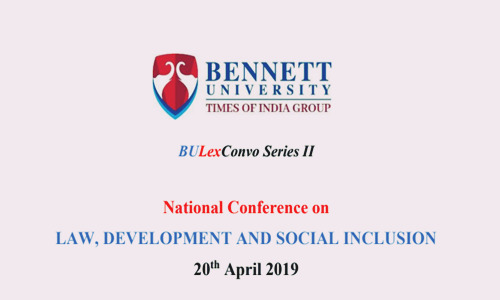 BULexConvo Series II National Conference on Law, Development and Social Inclusion to be held on 20th April 2019. The second conference in the series aims to discuss and deliberate on how law impacts development and social inclusion and the role played by social sciences in achieving the multi-faceted outcomes of law. Certificate of Participation would be given to all registered participants.